Basically, the rumors were safe. But most people didn't believe that the Nexus 6 has an 5.96 inch screen. Yesterday Google not only confirmed, but presented the Nexus 6, the Nexus 9 and Android Lollipop. And not only the screens are huge, the prices are too. Everyone knew it for week, but only a few believed it. An almost 6 inch screen for the new Nexus 6 device is a shocker for the ordinary smartphone users. Technically with a Snapdragon 805 quad-core processor at 2.7GHz and 32GB in the smallest version, it's up to date. The Motorola made Nexus also comes with a QHD 2560 * 1440 (493 ppi). So the specs are great. This phone will spark a lot of conversation. Is this even qualified for getting mainstream? What was Google's intend? Are they leaving the consumer with this? I'm pretty sure, it will not get the most selling device anytime soon if ever. Nexus never were. What Google did is a brave step. It's not completely unrealistic after even the competitor from Cupertino has announced a 6 inch phone. That alone will lead to more acceptance of such big devices. The price might be the biggest downturn. Yes it's worth it. It's not expensive. But with $649 for the smallest version, it's way above the price that everyone expected from a Nexus device. Not much surprise with the Nexus 9. The rumors was adequate here, too. So pretty much all the specs was no surprise. This Nexus tablet with an 8.9 inch 2048*1536 and 4:3(!) ratio is from manufactured by HTC. The NVIDIA Tegra K1 64-bit dual-core processor at 2.3 GHz will bring enough performance. 2GB of RAM seems to be the lowest acceptable value for a 64-Bit device. Prices from $399 could make it interesting. However, if you want more than WiFi, you'll have to pump out some extra dollar to come above the $600 barrier. Android L is running on all these new devices from the beginning. L? Oh sorry, it's now Lollipop. That's right Android 5 Lollipop. Now while I'm having trouble to get this song out of my head, this is a game changer once again. Yes, it's that different. It feels totally like a new system. If that is for good or bad I leave you to decide. But one thing is for sure, Android will never be the same, and at the same time with all the changes we already saw to the apps, it's no longer unusual. Nexus 4, 7 and Google Play Edition owners visit your dentist, you are getting Lollipop, too. Great news. There will be a lot to say about this in the coming weeks. Enjoy. In the shadow of all this, the Nexus Player was announced. The direct competition to FireTV and probably the successor of the Chromecast. It definitely can do everything the Chromecast does, and a lot more. With a quad-core Atom processor it has enough power to run apps and games. The magic here is done by Asus. For $99 it's a no-brainer. Buy or miss out. So, the conclusion of this? Google is going new ways for Android. A new era for sure. 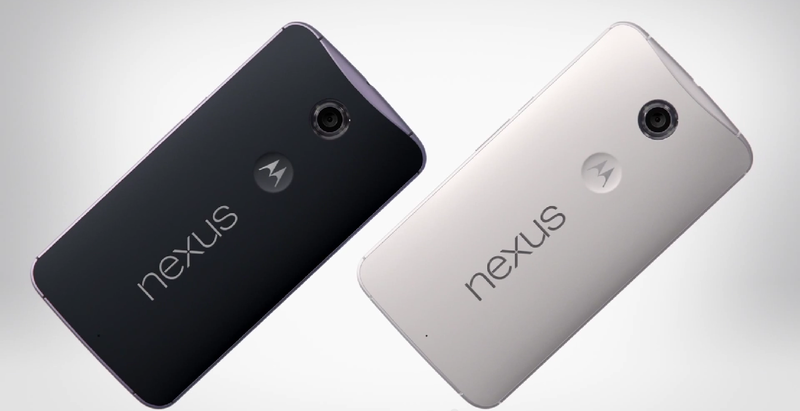 It might be that a Nexus 6 never ends up as a mainstream device. But the platform to show all the new features and new Android versions never was mainstream big time. Nonetheless, it shows the way Android is going. And it will be an exciting new way as Android enters the living room, and all screen sizes.